Jaded Blossom: Happy 4th of July! Jamie here to share a festive lollipop favor with you! I started with the Lollipop Dies and added a layer of Card Mat Die and Stitched Square Dies. 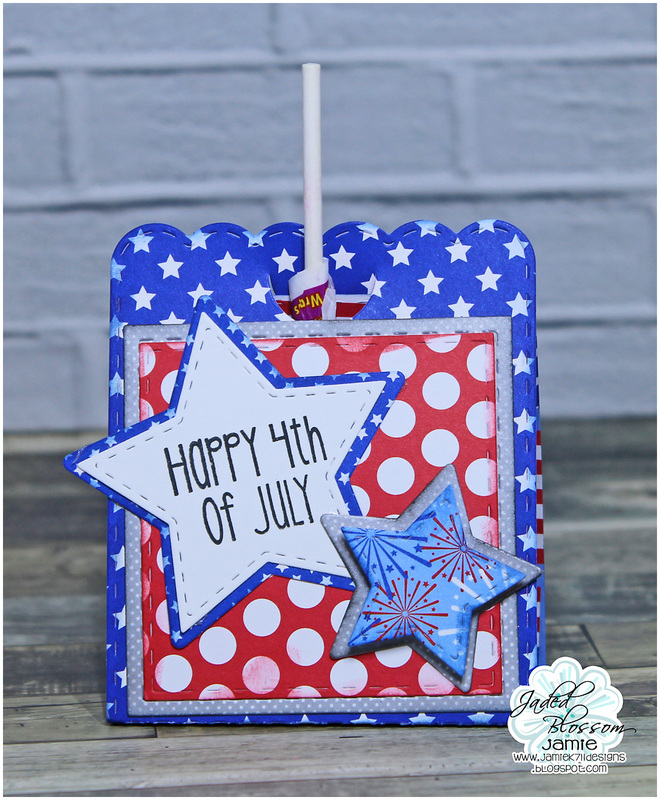 I stamped a sentiment from Celebrate America to a Star Die and added another star as a layer piece! What a festive treat! So cute!!! Happy 4th of July!!! Beautiful lollipop favor!! Happy 4th! !